Dark Orange Embroidery Work N Printed Designer Wedding Wear Saree . 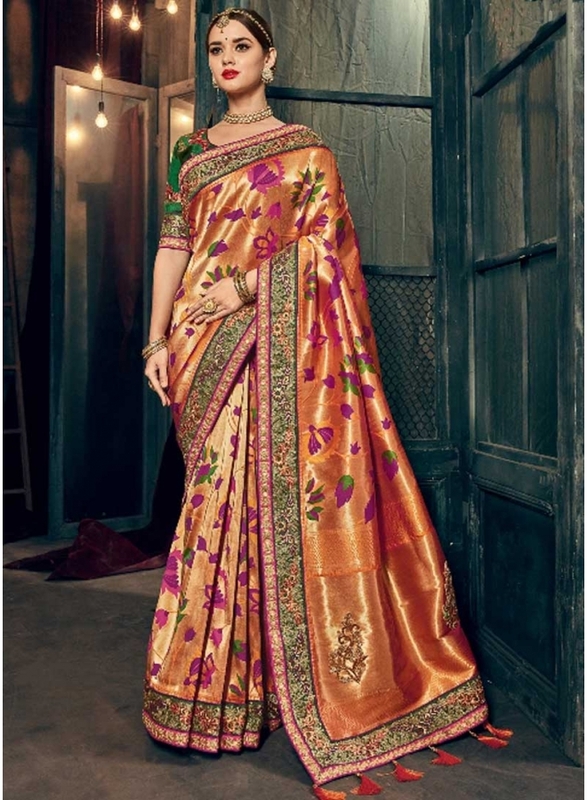 Dark Orange Colour Flower Printed And Embroidery Palau Work With Dark Green Colour Sequences Embroidery Work Lace Border Designer Saree. This Saree Come With Dark Green Colour Sequences Embroidery Work Designer Bolus . Dark Orange And Dark Green Colour Embroidery Work And Flower Printed Designer Weeding Wear Saree.